Memes are cool, right? Well, here’s a list of some of my favourite gaming memes and parodies that ended up making me laugh and becoming popular on the internet. Make sure to tell us your favourites. “I Never Asked for This” is the memorable quote by Adam Jensen, the main character in the long awaited return of the Deus Ex series. Human Revolution is a great game offering numerous ways to approach each mission, and Adam Jensen was a very interesting and complicated character. 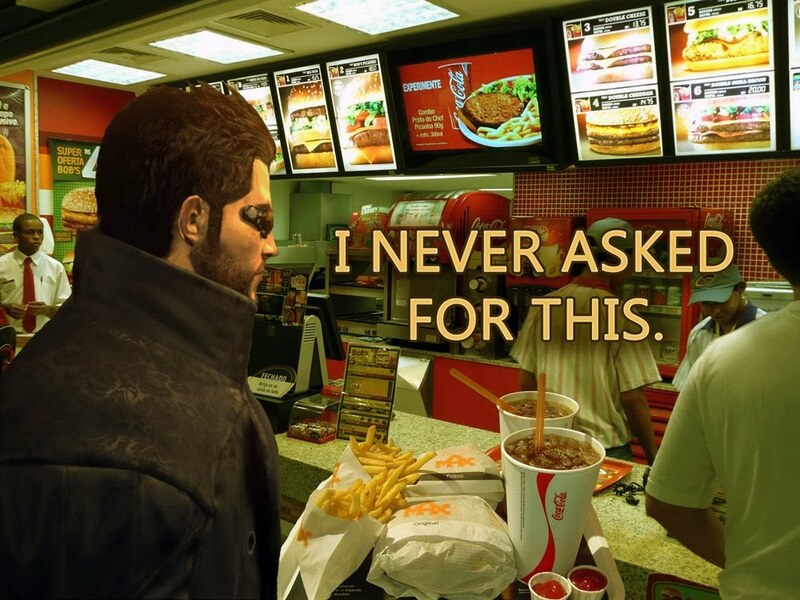 Adam Jensen says this line with regard to his augmentations, the cybernetic enhancements he was given after recuperating from a fatal injury, then it turned into an internet meme from there used to express your disappointment or something happening that you didn’t ask for. 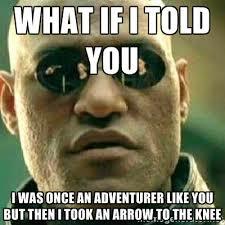 “I Took an Arrow in the Knee” This memorable quote came from The Elder Scrolls V: Skyrim, a game full of dragons, magic, and many funny WTF moments. “I used to be an adventurer like you, then I took an arrow in the knee” wasn’t a famous line from some Skyrim folklore legend, it was from a mere nameless town guard, and in fact many nameless town guards. Seems these NPCs need to invest in some knee armour. The repetitive line spread like wildfire and many parodies were created. Ethan Mars went through a huge ordeal in Heavy Rain, his life started to turn to crap when what should have been a normal family day out to the mall turned into a huge tragedy. When young Jason on his 10th birthday suddenly wanders off from his father and disappears into a crowded mall, Ethan frantically searches for him screaming “JAAAAYYYSOOON”. The voice acting was so bad, it included odd CG facial animation and overall the scene became very cringeworthly. Press X to Jason was created to mock Ethan and was even the inspiration behind an 8-bit flash parody game. Leeeeeeeeeerooy Jeeeennkiinssss!! 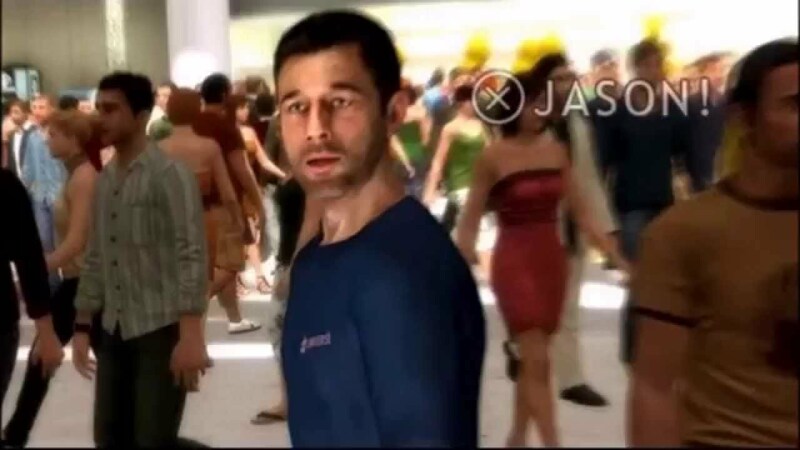 No introduction needed here as this is probably the most famous internet gaming meme ever. 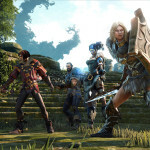 In 2005, the same year when YouTube was just getting started, there was a World of Warcraft legend named Leeroy Jenkins that was well-known for screaming out his name and making a suicidal charge towards his death, getting his raid team killed in the process. The Leeroy Jenkins character quickly became famous with Blizzard making him part of the game’s lore and making several other appearances in World of Warcraft products. Sometimes gaming gets in the way of the more important things in life. We’ve all been there before, you’ve become addicted to a game and put all your free time and effort solely into it, forgetting about everything else. This guy’s addiction got a little out of control. Check out his funny Halo 3 video. 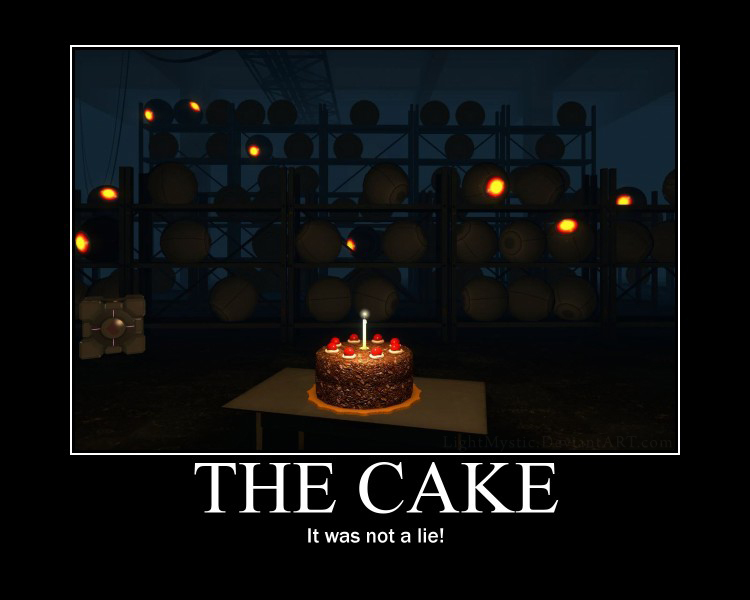 One of the most funny and most rewarding moments in Portal is without a doubt when you discover that the cake is actually not a lie and it was real after all. 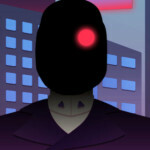 GLaDOS is most likely everyone’s favourite A.I.. Although evil, corrupt, and sadistic we can’t help but love GLaDOS, and forget and forgive it for trying to kill us in Portal 1, it was all in the name of science, right? GLaDOS had a huge impact in the gaming culture, and will always be remembered for “The cake is a lie!”.